Jose Antonio Oregon, lifelong fishermen guided us into the pango, a wooden handmade pirogue covered with a coat of fiberglass and resin. 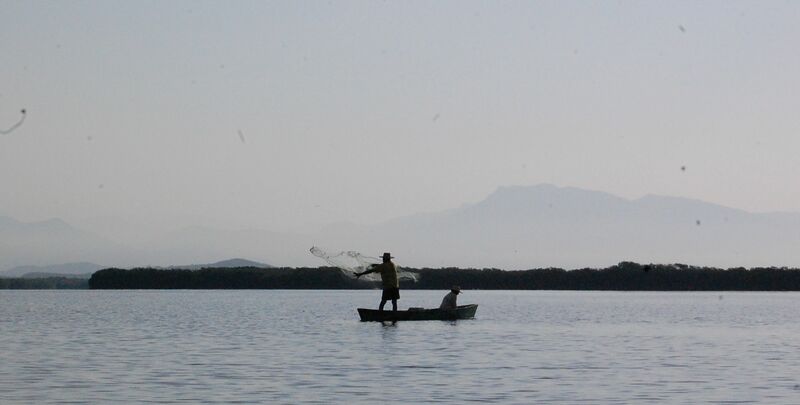 I was in the Laguna de Potosi, located just south of the Zihuatanejo airport on the Costa Grande of the Mexican state of Guerrero. The 1,200-mangrove lagoon sits behind nesting beaches for endangered leatherback sea turtles. Humpback whales can be found in the sea outside the lagoon. During south swell season surfers visit Barra to surf lined up point lefts. Jose Antonio gently pushed the pango out into the lagoon. “There’s a kingfisher,” he said pointing to the small bird with a large oversize beak that was flitting and darting across a lagoon channel into the mangroves. My companions, Sergio Flores and Natalia Parra, the WiLDCOAST Southern Mexico Coordinators, know this coast well. They have spent the last seven years working here in an effort to preserve sea turtle nesting beaches and to reduce the illegal trade in sea turtle meat and eggs. I was in Barra de Potosi to support the village’s effort to halt the proposal by Mexico’s National Fund for Tourism (FONATUR) from placing a cruise ship terminal on top of the lagoon and the 900-person ramshackle pueblito. 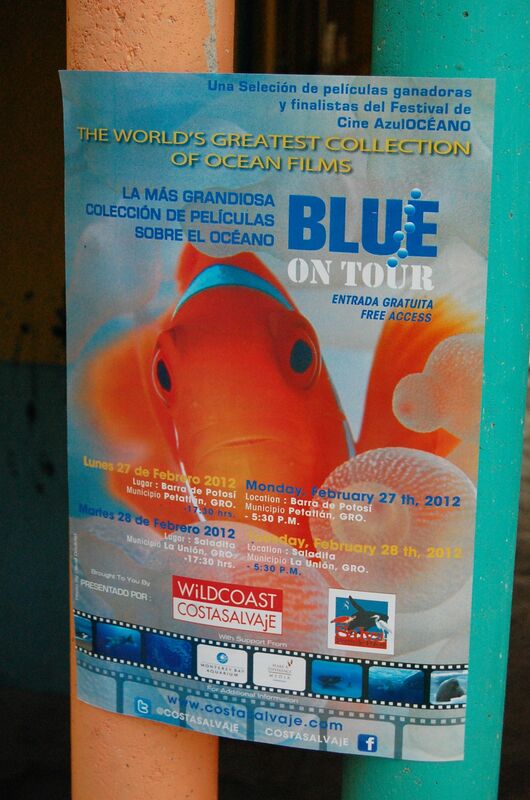 Sergio, Natalia and I were also Barra to launch the first stop of the second year of Blue Ocean Film Festival tour of Mexco to screen ocean documentaries free of charge to Mexico’s fishing communities and coastal residents. 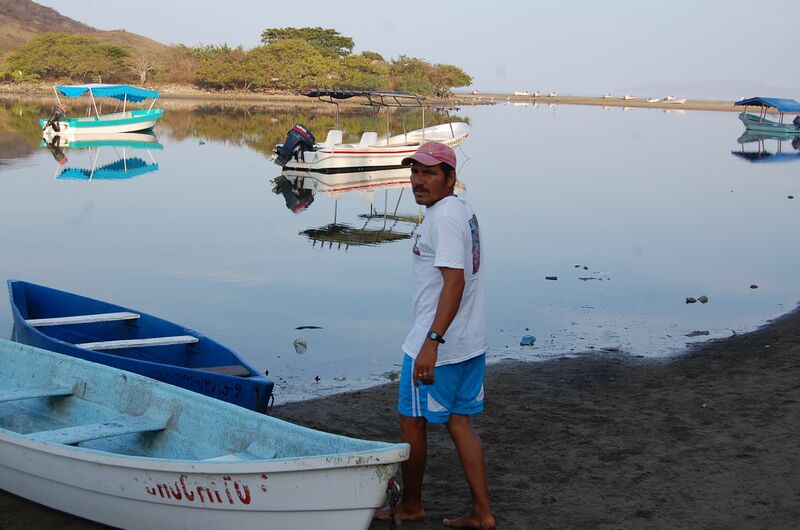 “I don’t see how they can build the project without destroying the lagoon and our village,” said Jose Antonio pointing to the colorful fishermen’s palapas that line the nearby surf beach and the lagoon entrance. This small and friendly village of brightly colored fishermen’s home’s, sandy streets replete with handmade terrayas (throw nets) and numerous shrines to the Virgen de Guadalupe, is the latest casualty in FONATUR’s efforts to create new mega-resorts on top of some of the loveliest and most pristine coastal villages, coral reefs, and mangrove lagoons in Mexico. 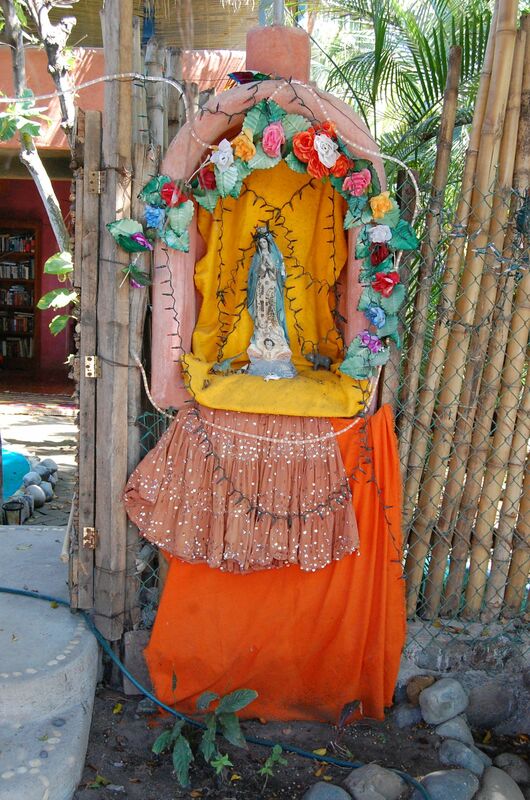 Every weekend and especially during Semana Santa, Mexican families flock to the surfside palapas to pass the day eating sumptuous ceviche de abulon, empanadas de pescado, and grilled fish, freshly harvested from the nearby lagoon and sea. Aracelia Oregon, the mayor of Barra and Sergio Flores of Wildcoast. The pango glided through a narrow channel lined with green mangroves that are home to more than 200 bird species. We spotted blue herons, flocks of cormorants, night herons, and scores of kingfishers. “Those guys are fishing for corvina and lisa (mullet),” said Jose Antonio pointing to a pango manned by two fishermen in broad billed straw sombreros about a hundred yards out. The pescadores pushed their pango through the lagoon with a palanca or modified pole and paddle. 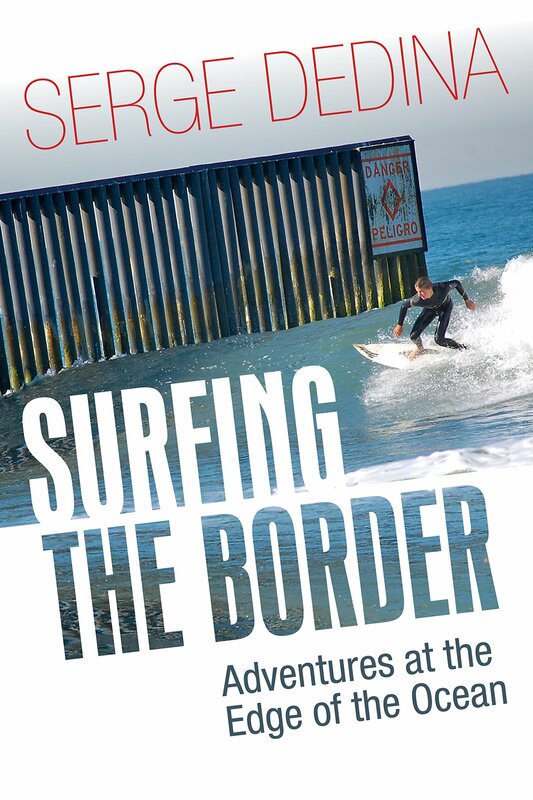 These are Mexico’s original stand-up-paddlers. One of the fishermen balanced precariously in the pango and launched his terraya. Later we observed them silently perched next to the mangrove hand lining for snook and pargo. 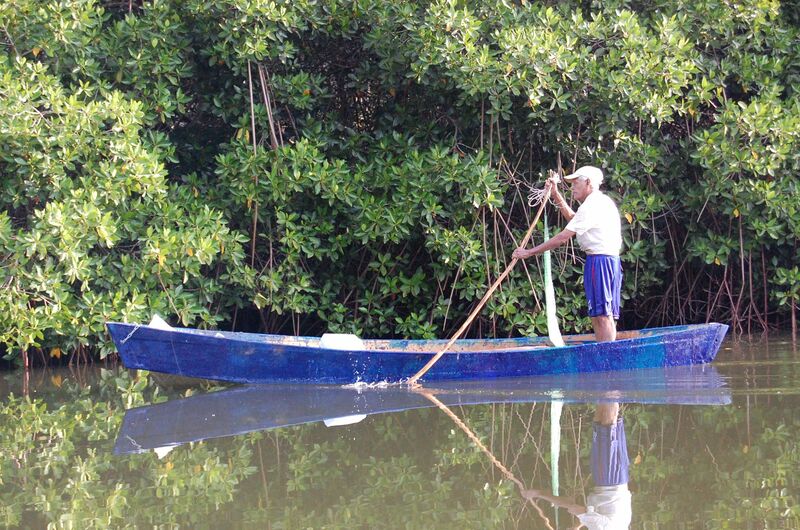 At a break in the mangroves, Jose Antonio guided the pango on to a small mud bank. We disembarked to inspect the community’s salt making operations. The salt makers use plastic sheets to hold lagoon water that is pumped into holding basins accelerates the process. Piles of artisanal salt lined the sides of the saltpans. “We collect the salt and then sell it,” said Jose Antonio. Upon our return to the village, we greeted Jose Antonio’s sister, Areceli, the local mayor under the palapa restaurant her family owns. 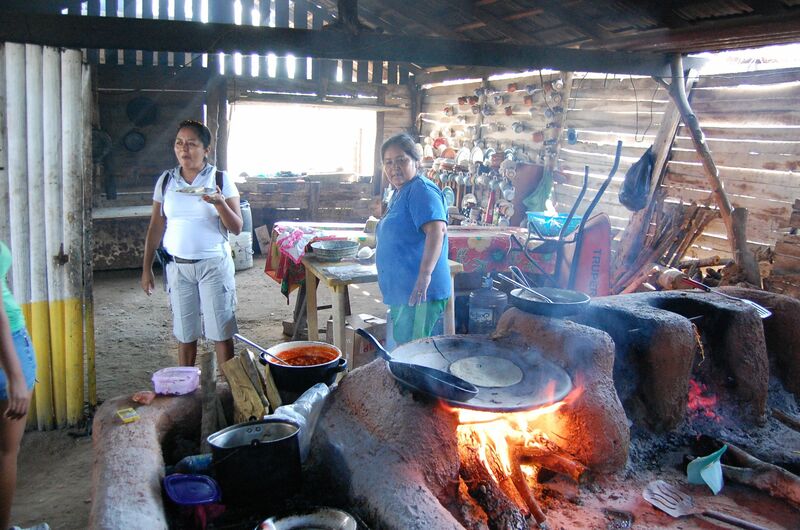 Her mother Linda, was already preparing thick pancake style tortillas de maiz, a pot of beans on the traditional adobe wood fire stove, and freshly caught snapper. I walked into the kitchen to snap a photo of Linda’s kitchen. “Have another tortilla with beans,” she said while plopping beans into a freshly made tortilla. While we talk, Linda places a plate of grilled fish prepared butterfly style in front of me. I gingerly forkful of fish in my favor and close my eyes while savoring its sweet freshness. Later that evening more than a hundred of the town’s residents gather for the film festival. Chairs line a sandy tree-lined street. We displayed the documentaries on the wall of an elementary school. 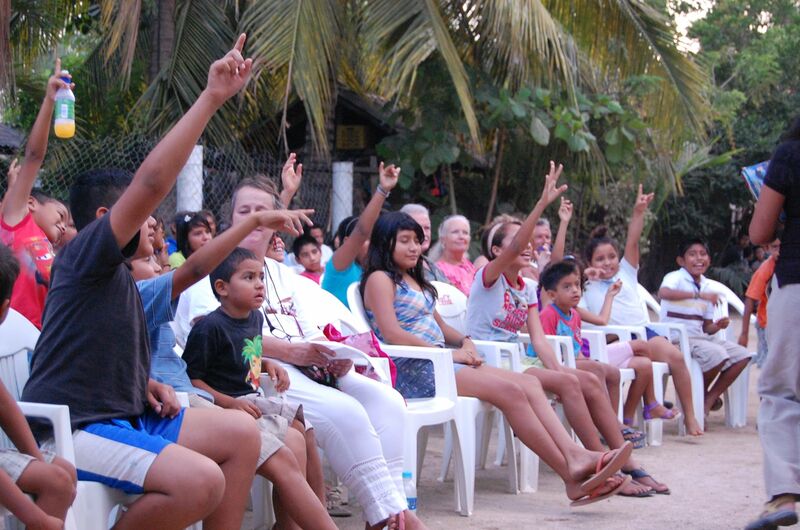 Children squealed with delight and received prizes when they answered questions about sea turtles and other ocean trivia. “It would be a shame to lose this,” said Areceli, who will soon travel to Mexico City to discuss the fate of her village and home with Mexico’s media, elected officials and government agencies. 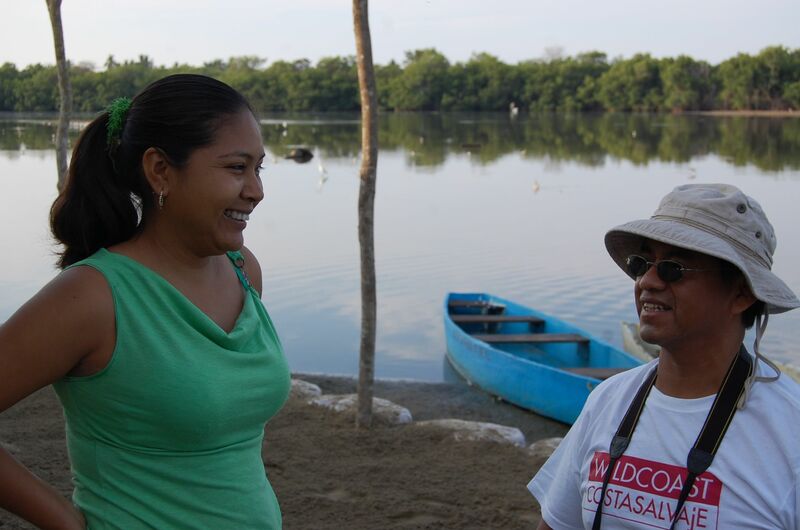 I hope for the sake of the people of Barra and the wildlife they protect, that Araceli and her family and friends will be able to defend their mangrove lagoon, their community and their way of life. Thanks to Eugen of Villas Tuparaiso, Adriana Luna Parra of Casa de la Luna, the Oregon family, Irwin and Pato of Azulita, Siren Surf Adventures, Lainie and Mike, and Lourdes for their hospitality. That was such a interesting story! 200 bird species? That would be really cool to see.